We’ve been hearing a lot about “live” supply chains — digitized operations that run on real-time data. There’s good reason for this. Improved supply chain performance is a Top 3 priority of manufacturers, says IDC. Digital commerce networks, advanced analytics, and better integration of supply and demand networks can slash supply chain recovery time in half. Digital technology can cut innovation costs by 10% and new-product lead times by 30%. In fact, one-third of today’s manufacturing leaders will be disrupted by digitally enabled competitors by 2018. But I’m often asked two questions about live supply chains and real-time data. First, what do we mean by “real time”? And second, what makes a supply chain truly “live”? Your data needs to be as real-time as your business demands. But those requirements will vary by function. So a more accurate way to think of real-time data might be as “right-time” data. Your logistics people managing transportation fleets need data on traffic, weather, and other relevant factors, and they truly need that in real time. Your production planners probably need data at the shift level. Your business planners might only need data in daily or even weekly increments. Keeping “right time” in mind can help guide where you invest in truly real-time data and where longer time frames will be sufficient. Connected — A live supply chain connects employees, partners, customers, equipment, and IoT sensors. Those connections don’t just run in two directions, but across a multi-direction matrix. Collaborative — Not merely connected, a live supply chain must allow collaboration across networks of networks. That includes business networks like the Ariba Network, personal networks like social media, and asset networks like IoT enabled devices. Automated — A live supply chain is increasingly automated, leveraging machine learning and transformative technologies such as robotics (hardware), robotic process automation (software), augmented reality (such as smart glasses), and additive manufacturing (3D printing). Data-driven — A live supply chain runs on “big” data — and increasingly, on real-time (or right-time) data. To leverage the huge volumes of big data now available, you need intelligent systems to capture and harmonize it, as well as advanced analytics to respond to it. Transparent — A supply chain becomes transparent when the data it captures is put into the context of each job function or stakeholder. That means the data needs to be not only right-time but also relevant and actionable to specific roles and job functions. Predictive — If your supply chain is data-driven and transparent, then it can become predictive. And when you’re predictive, not just your data is right-time; your decisions are, as well. So you can take real-time action when you need to and respond to changing conditions on the fly. 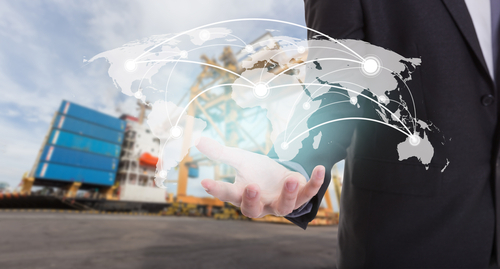 The live supply chain has already become an imperative. In the past, your people manually entered data into your supply chain systems. Execution was short-term. Planning was mid- to long-term. Today, these time lines and solutions are both shortening and bluing. You need data at a speed and at a quantity and from sources that simply can’t be handled manually. And your operations need to take place in real time, or at least at the right time. The good news is that for the first time, the necessary technologies have converged to make the live supply chain a reality. Learn more about how running a live supply chain can help you thrive today and innovate for tomorrow, visit us at SAP.com to get started. Lots of good points in here, Richard! I especially like the idea of “right-time” data and accurately assessing the appropriate level of granularity.